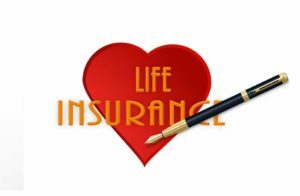 6 Reasons to Get Life Insurance Even If You're Single - Joseph W. McCartin Insurance, Inc.
Student loan or a mortgage. Anyone who co-signed any of your loans would be responsible for paying it for the full amount you owe. Living with someone. If you need both incomes to pay your bills, what happens if one of you dies? Even if you don’t have kids, there may be others that depend on you financially. Having kids someday. Getting life insurance now protects your future insurability. Being young and healthy. You can lock in a low price if you purchase life insurance at a young age. Waiting to get coverage until you’re married or have children could make a policy much more costly. Caring for family. Having life insurance means there’s money to care for your parents if you can’t. Funeral expenses. You wouldn’t want to leave your family to deal with grief and paying for your funeral. The average funeral costs more than $7,000 and it can set your loved ones back without a significant amount of savings.